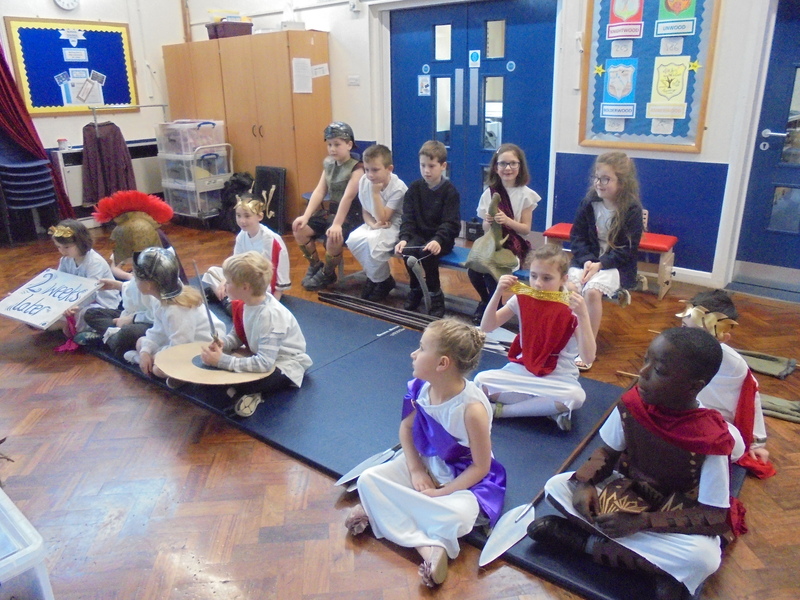 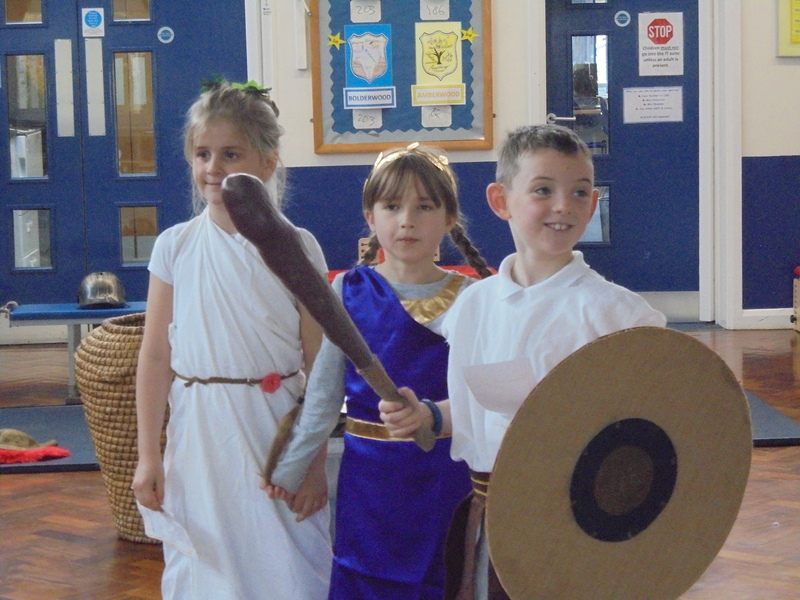 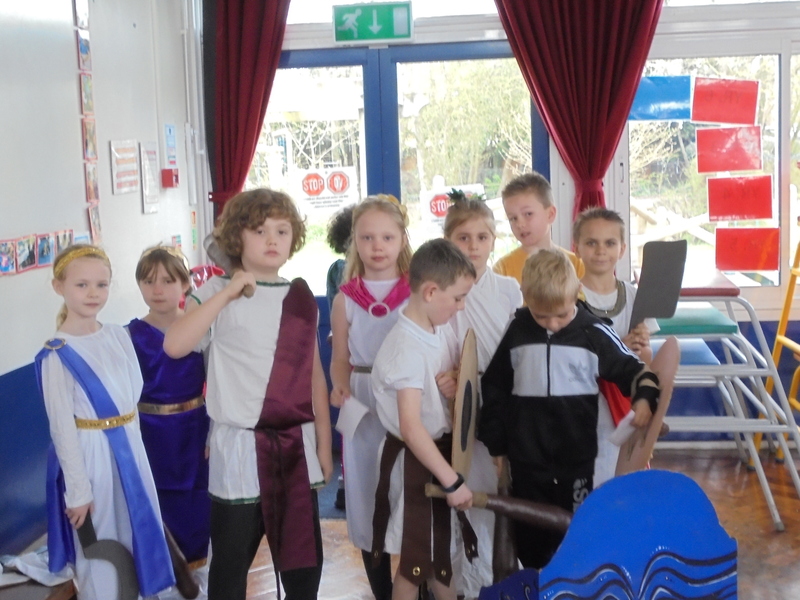 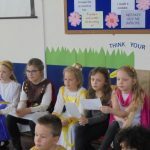 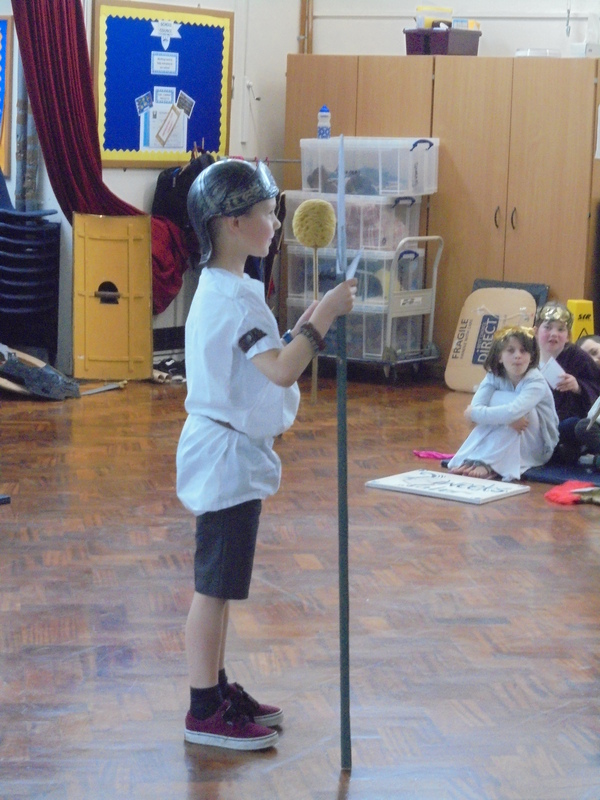 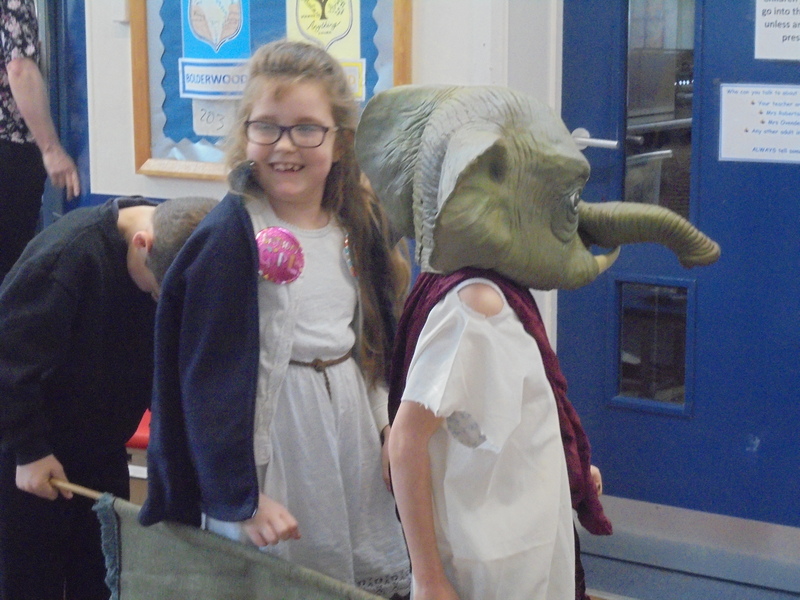 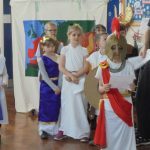 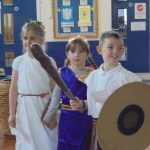 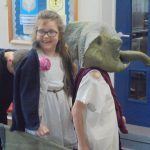 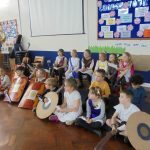 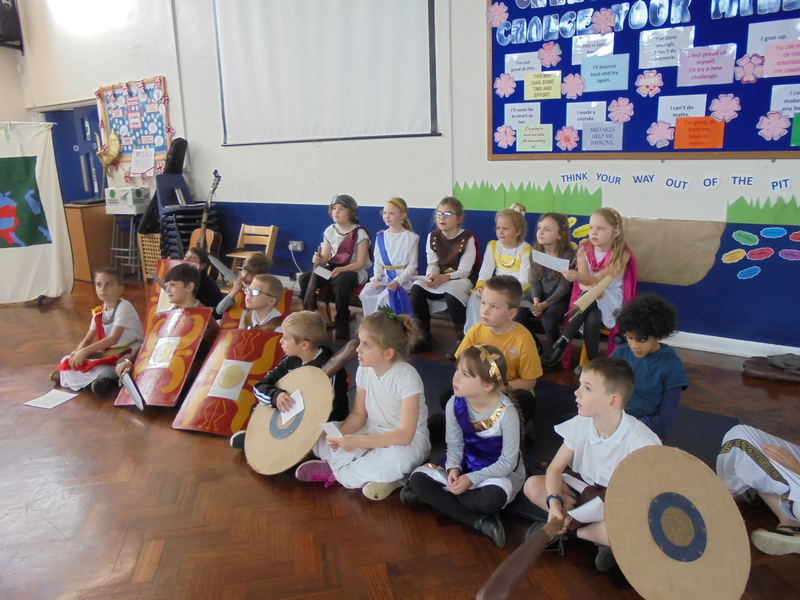 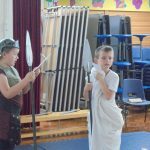 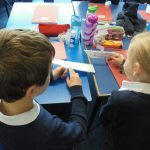 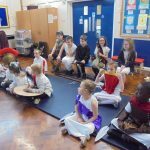 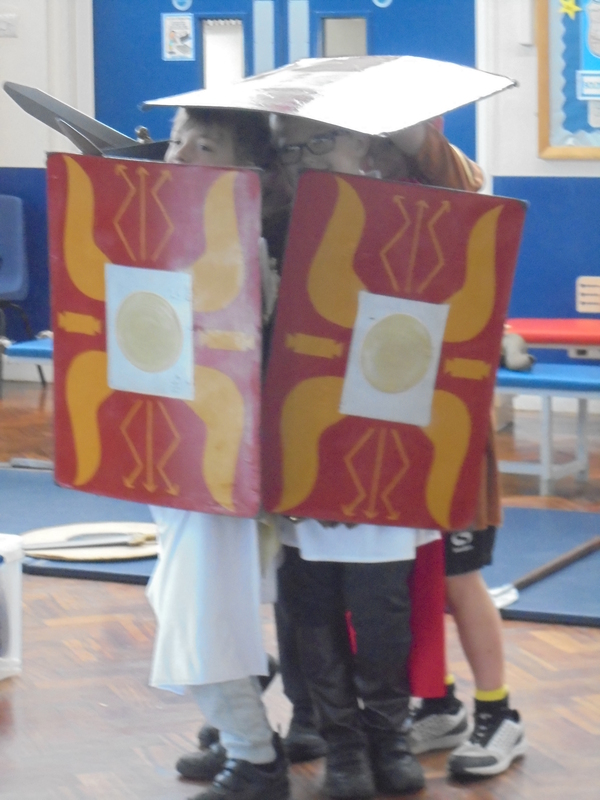 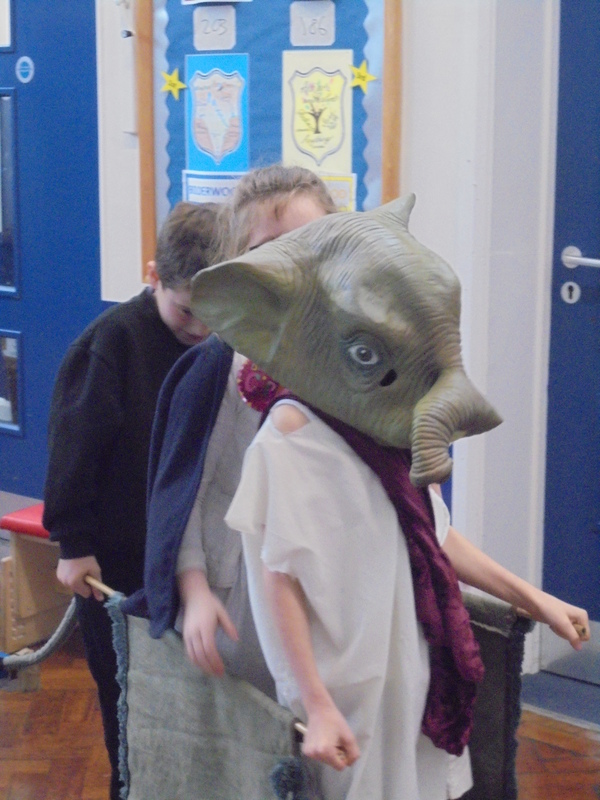 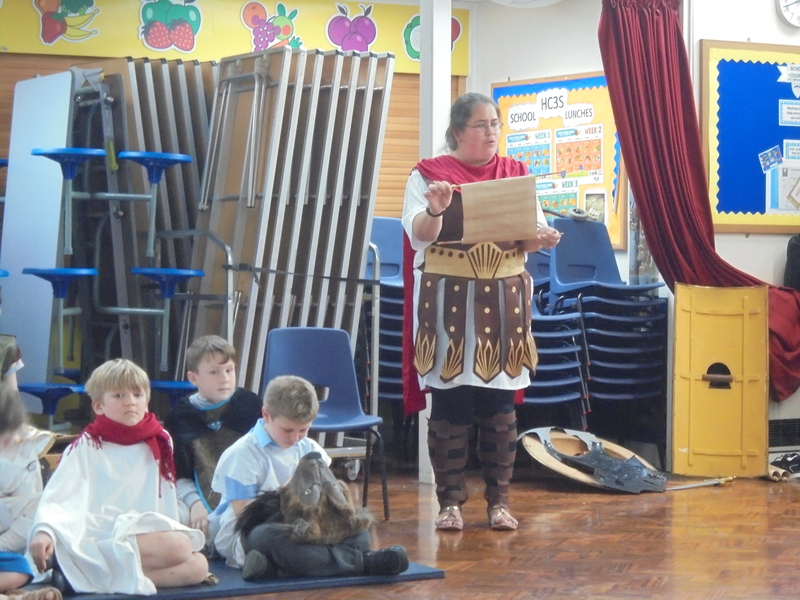 Year 3 had a fantastic Roman Day on Tuesday to begin their Roman topic. 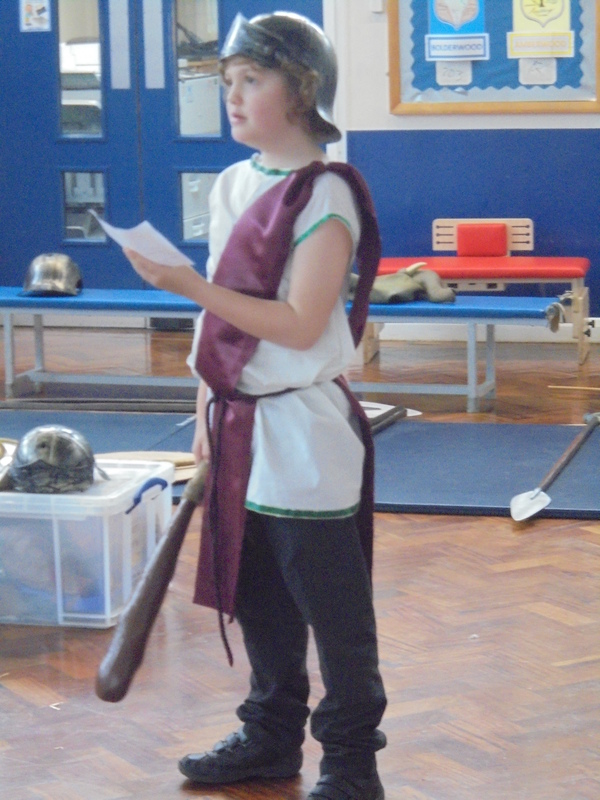 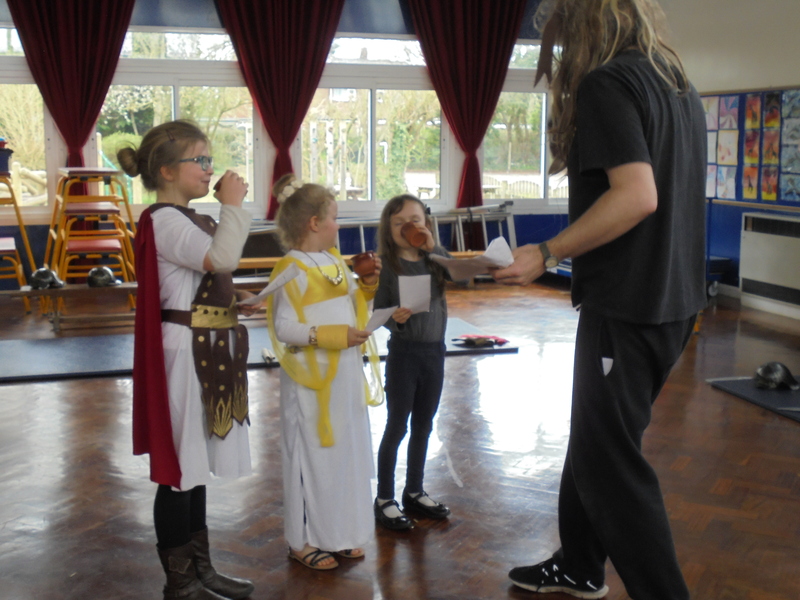 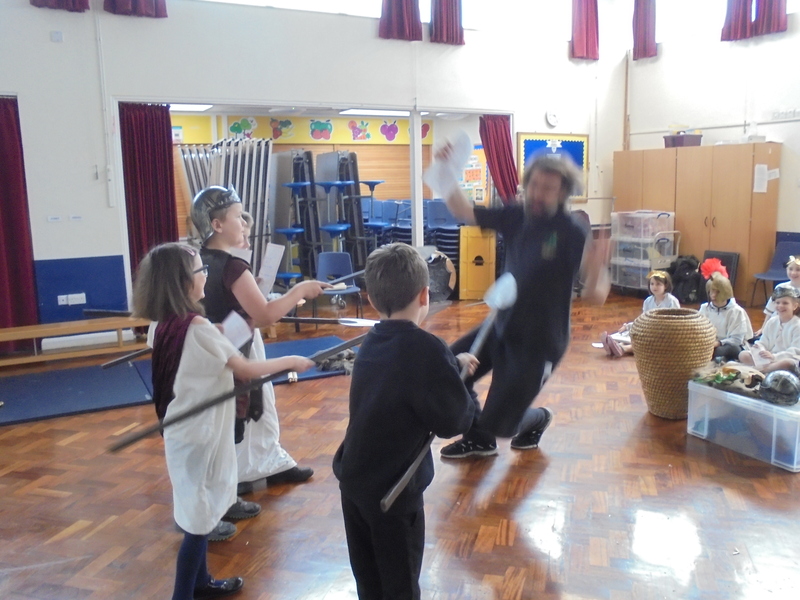 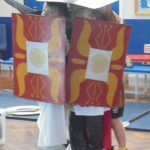 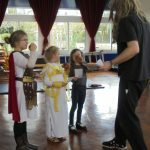 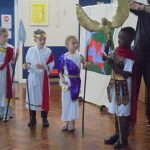 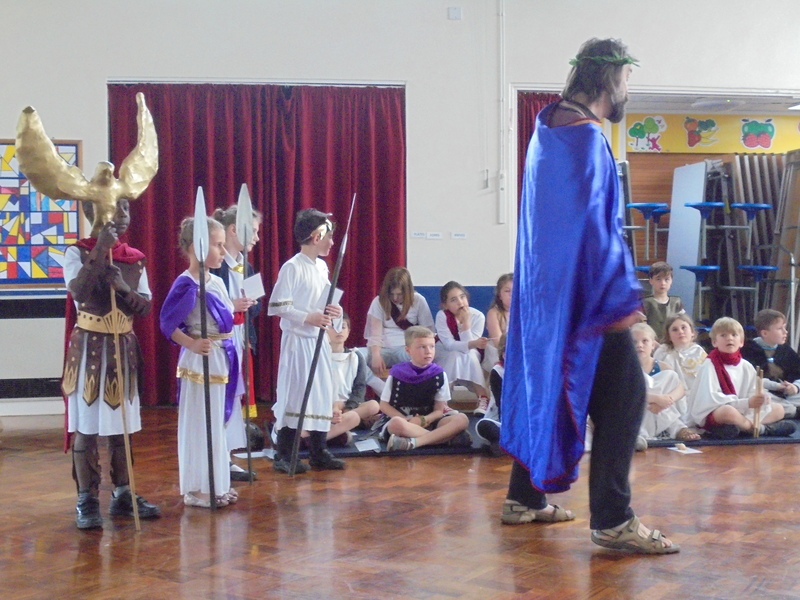 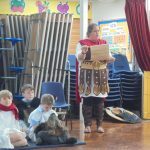 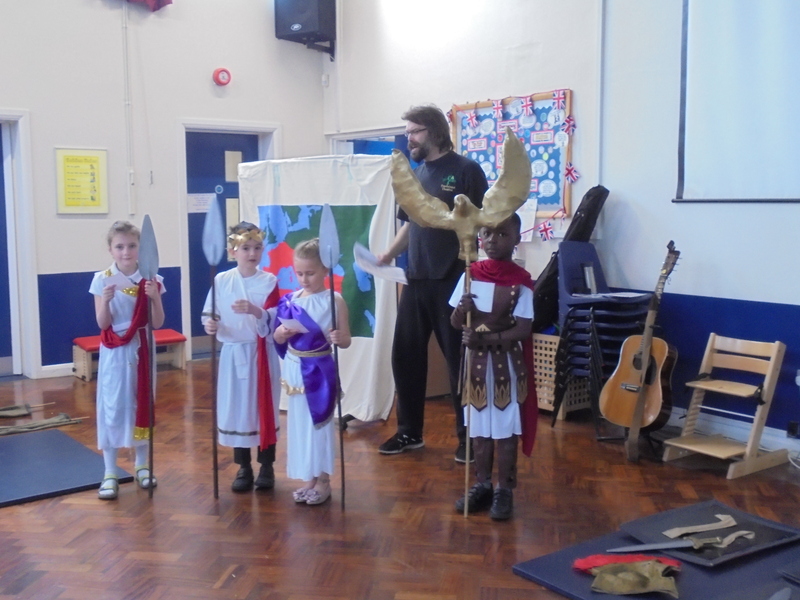 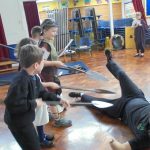 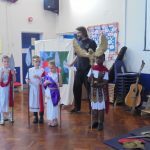 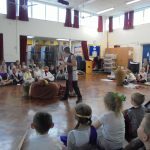 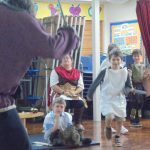 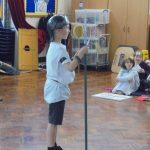 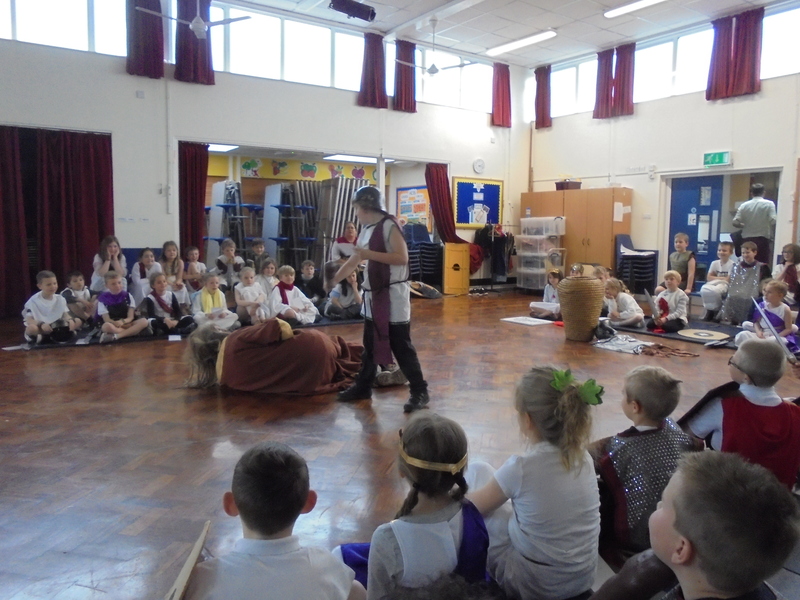 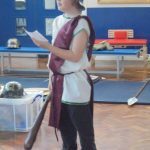 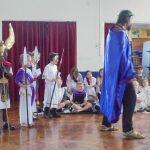 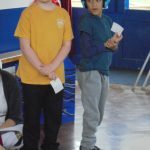 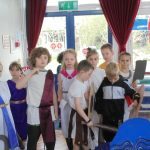 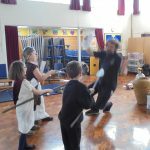 Ben from the Treehouse Theatre was fantastic in giving the children a top class performance with oodles of Roman history in a whistle-stop play. 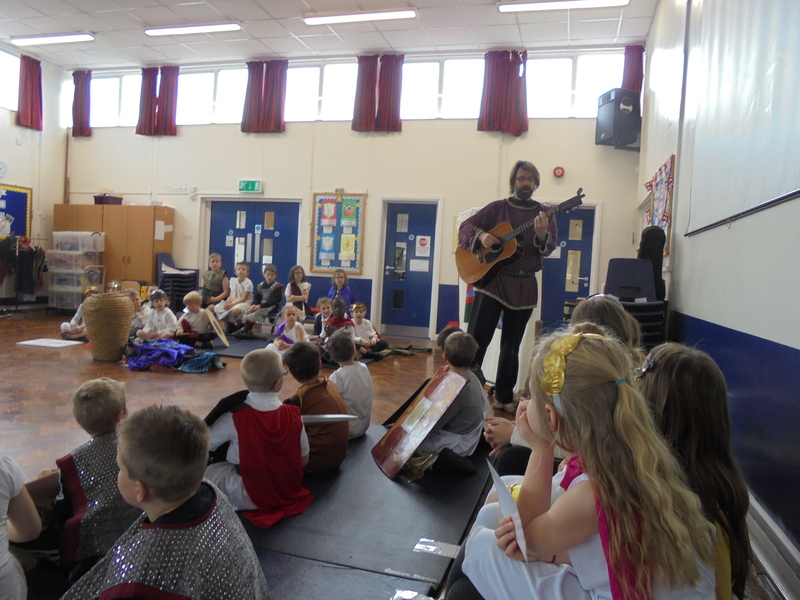 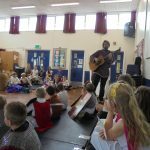 He provided props and costumes for the children to perform their part in the play. 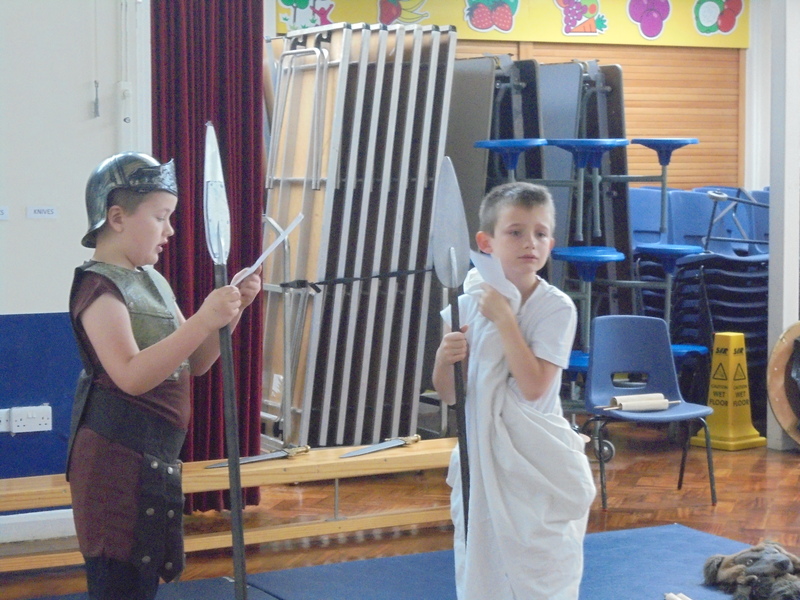 From elephants to Emperors and Gladiators, they each had a part to perform in the Roman performance. 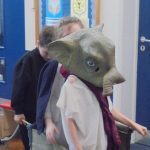 Apparently, this was the best day ever! 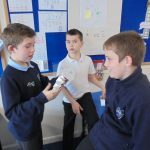 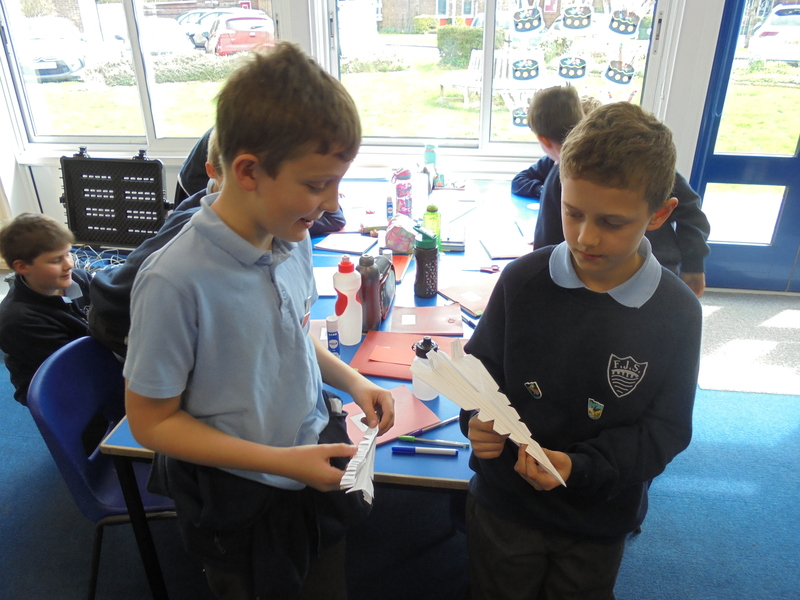 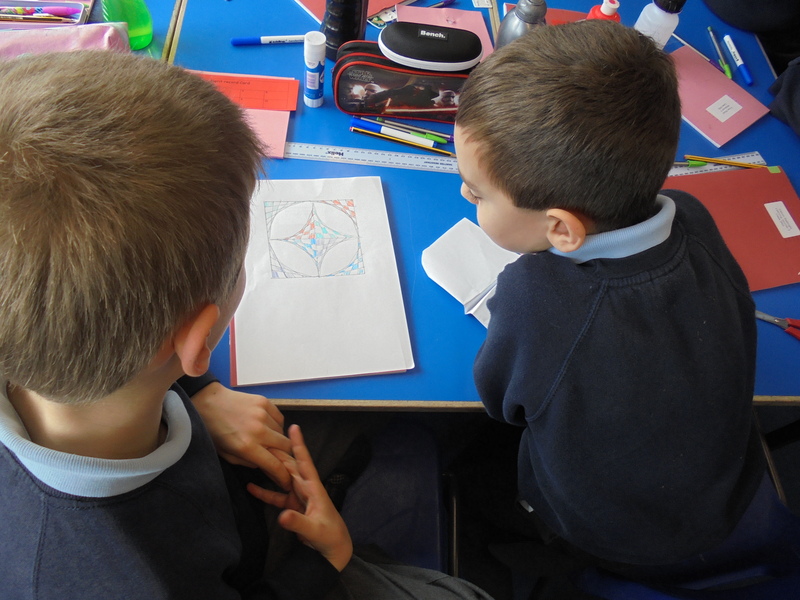 Year 5 have been thinking about the meaning of Creation. 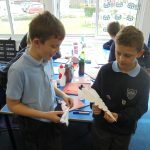 We started by agreeing that creation meant making a new thing out of a raw material – like a car out of metal or a den out of branches and leaves. 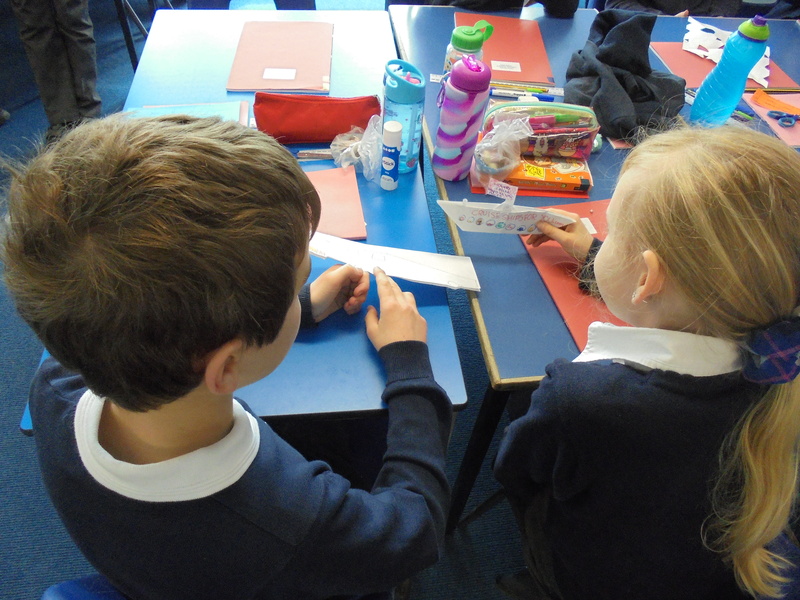 With very little input and only a piece of A4 plain paper, we then had a go at investigating ourselves. 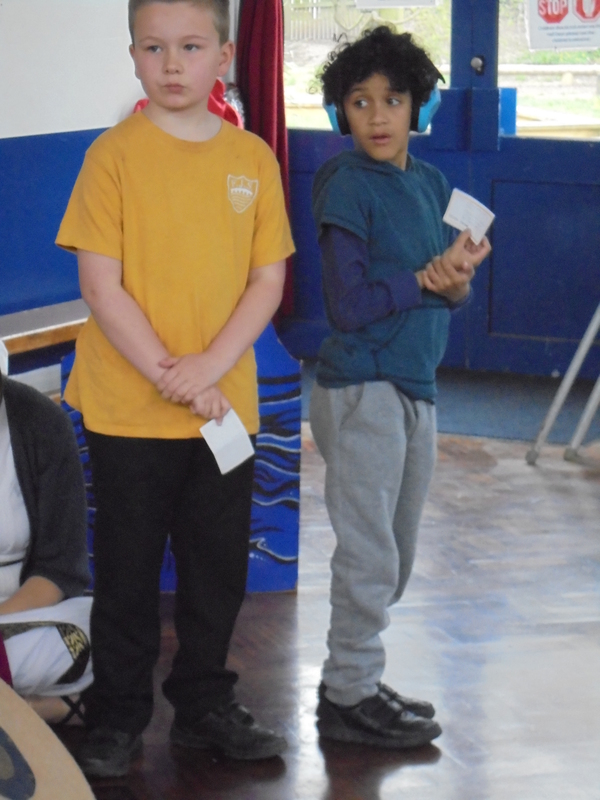 There were some similarities but many more differences. 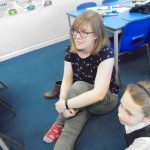 Find out if there were any common themes or ideas. 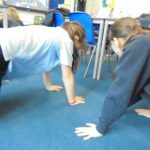 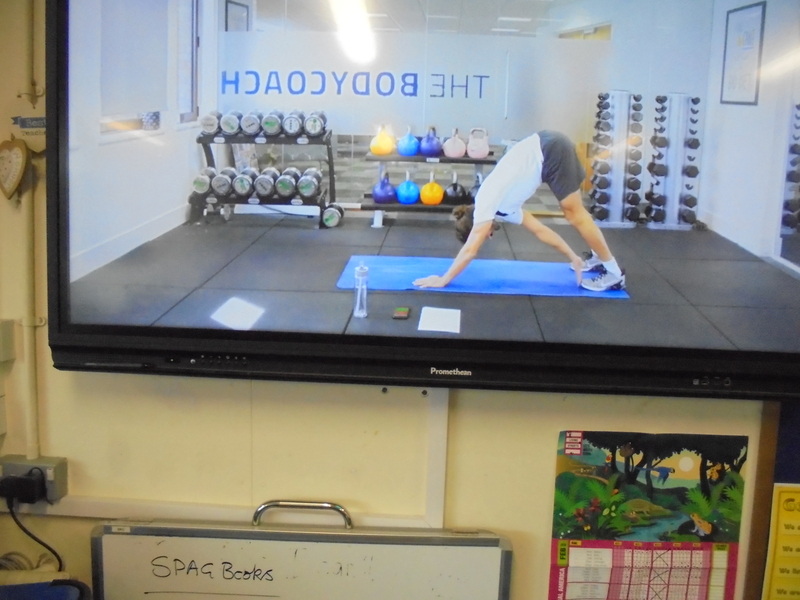 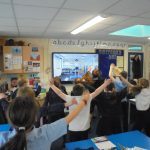 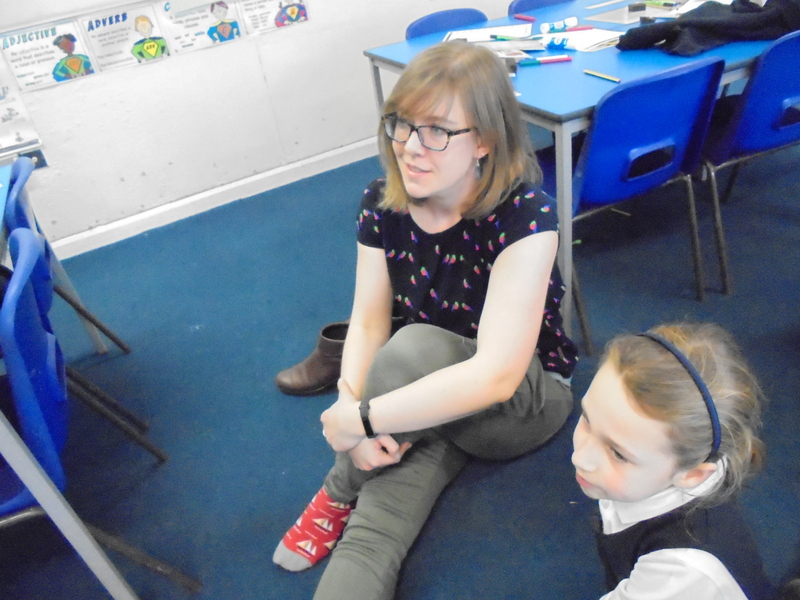 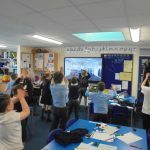 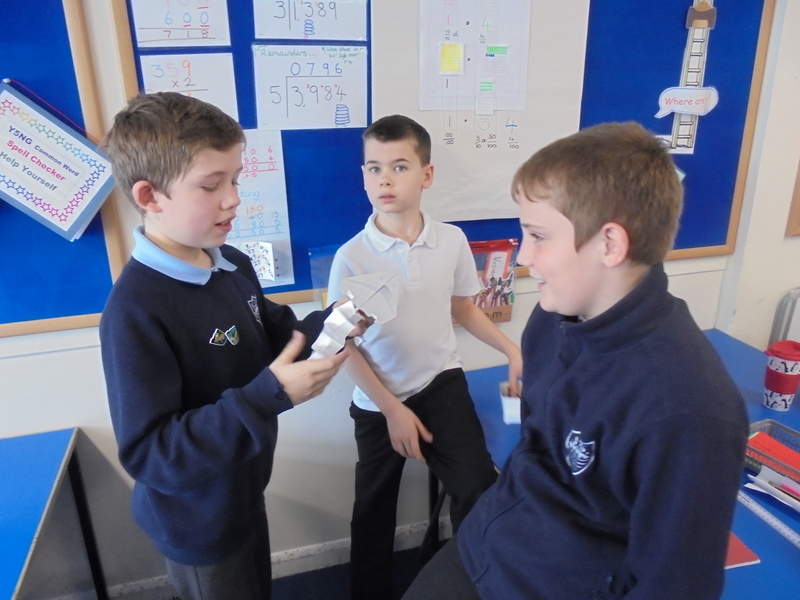 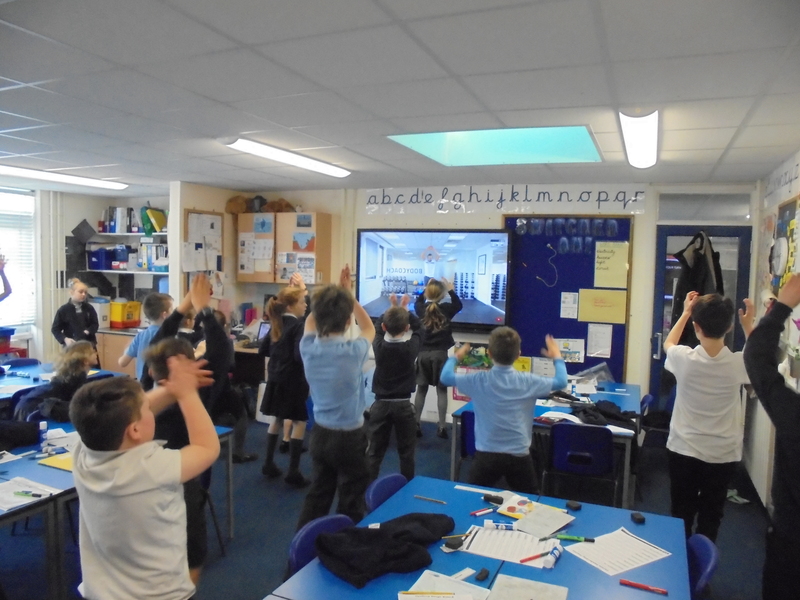 On 14th March, Year 4 did Joe Wicks’ school workout. 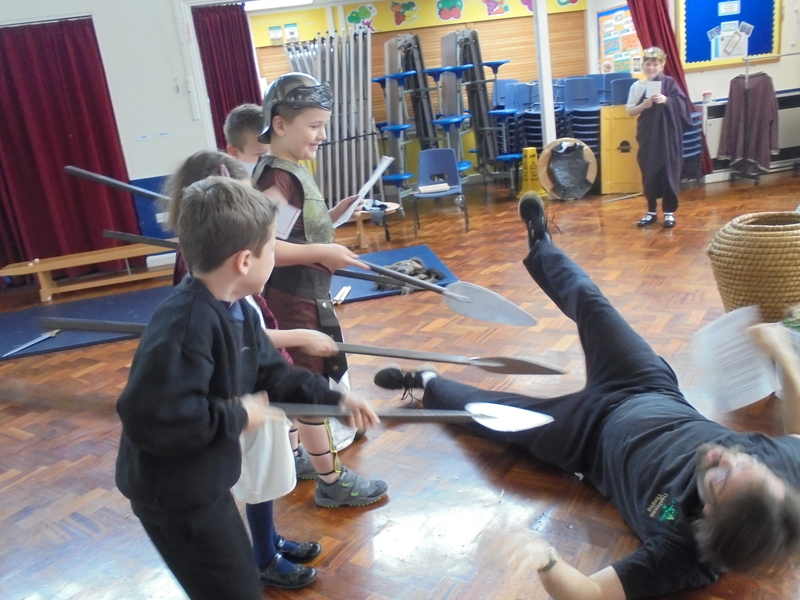 3 words – it was tiring! 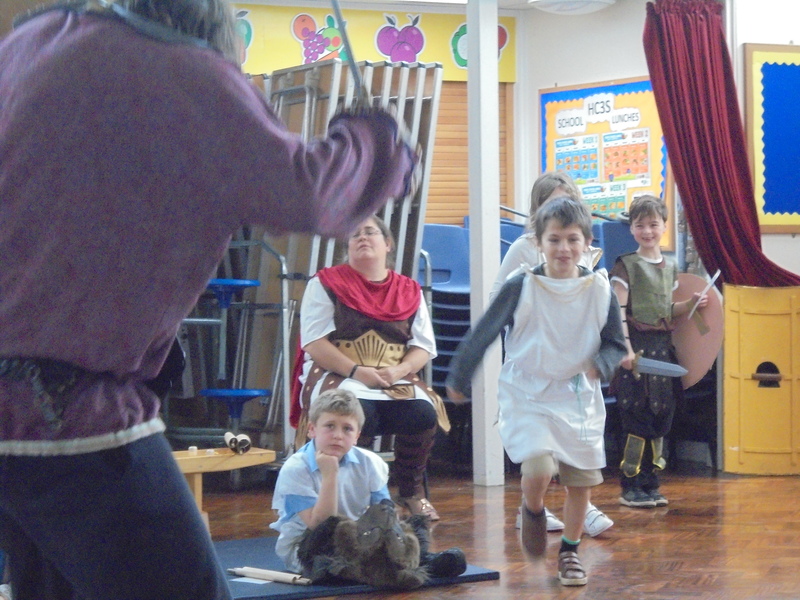 Boys were panting for breath and girls were sweating. 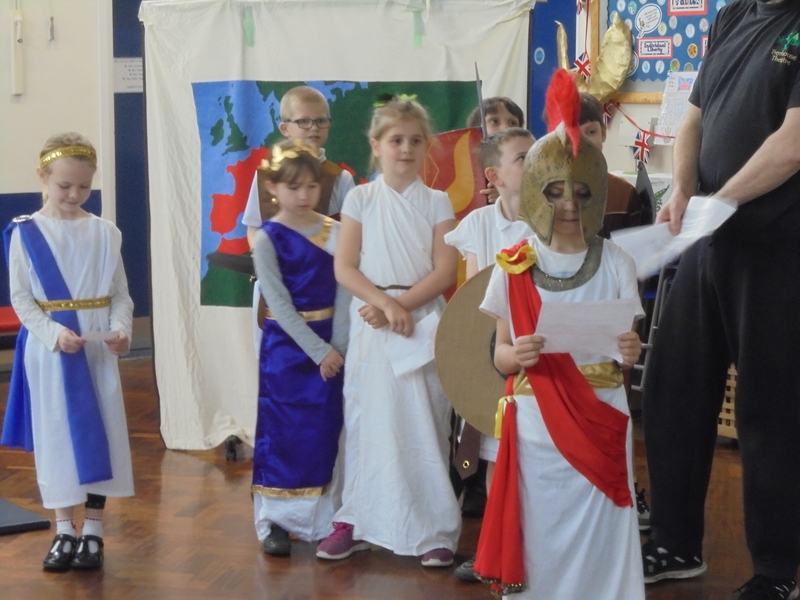 But Year 4 achieved it. 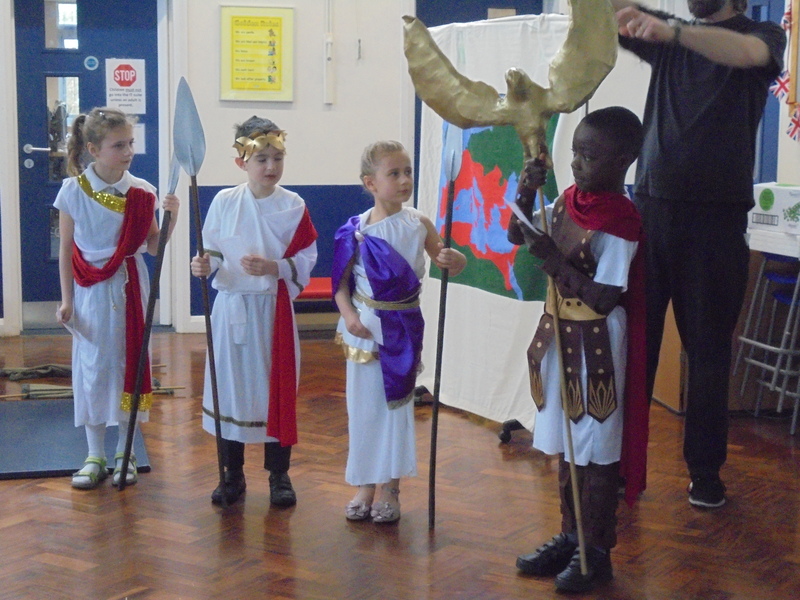 Just like our school motto – Believe, Strive, Achieve. 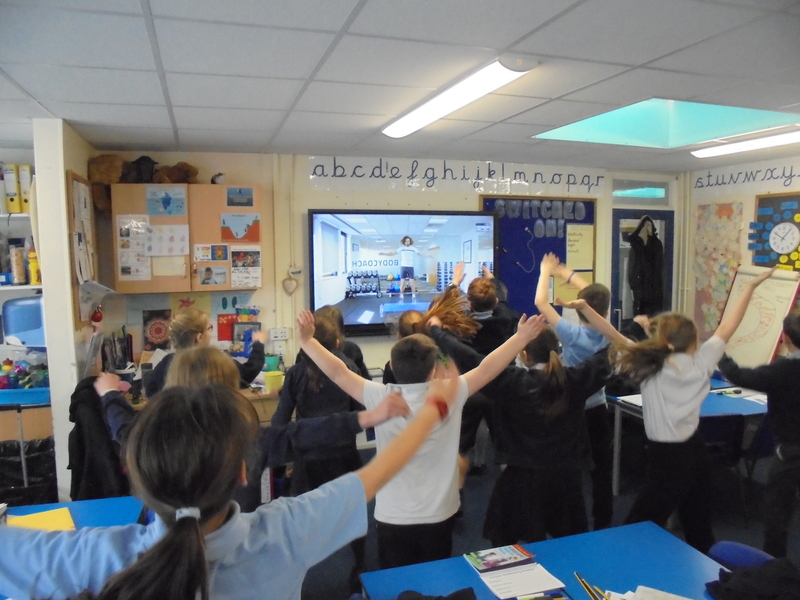 We had to do star jumps, running on the spot etc. 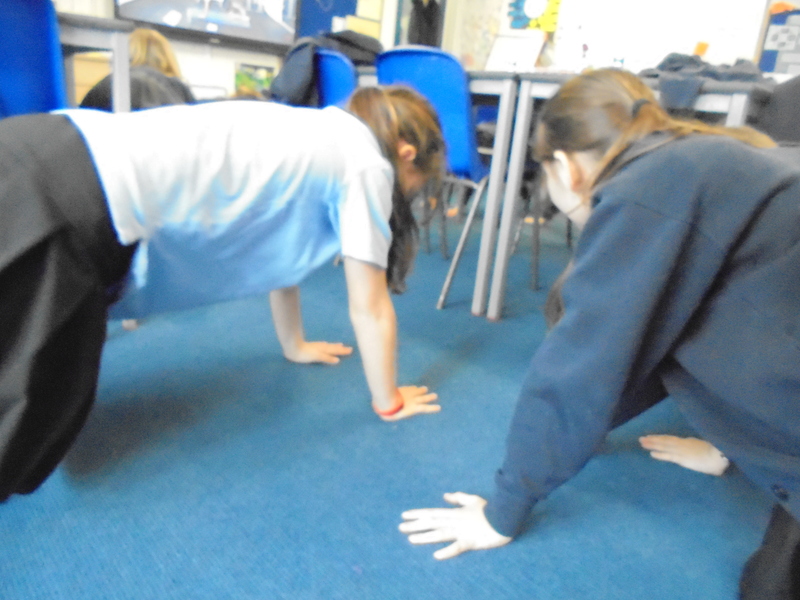 Afterwards our thighs felt more tight and muscly. 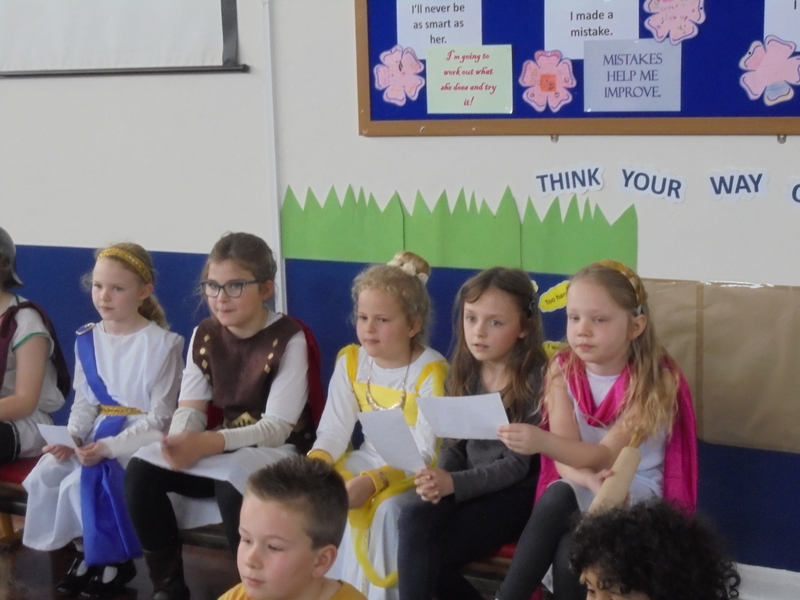 Do you know who can achieve anything just like Year 4?? 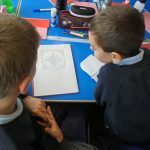 You!! 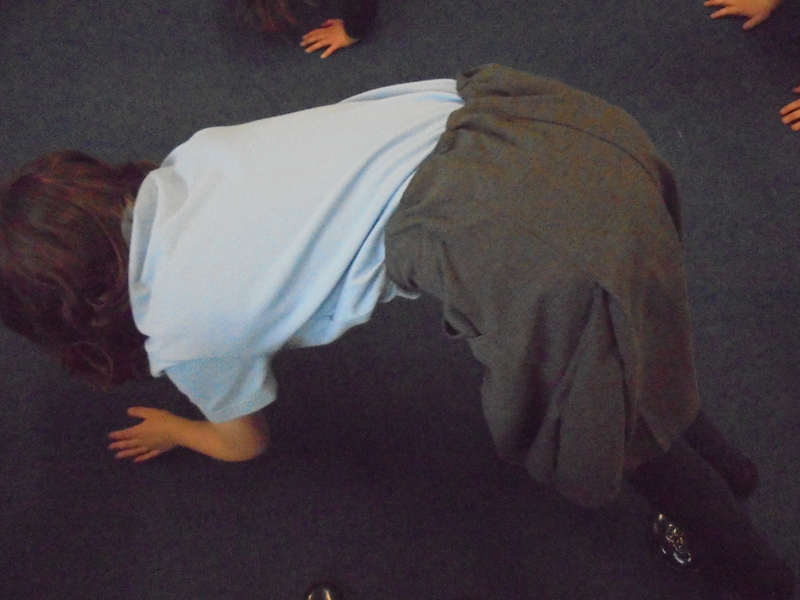 Even Miss Card had a go at the exercises, this is one of the stretches!